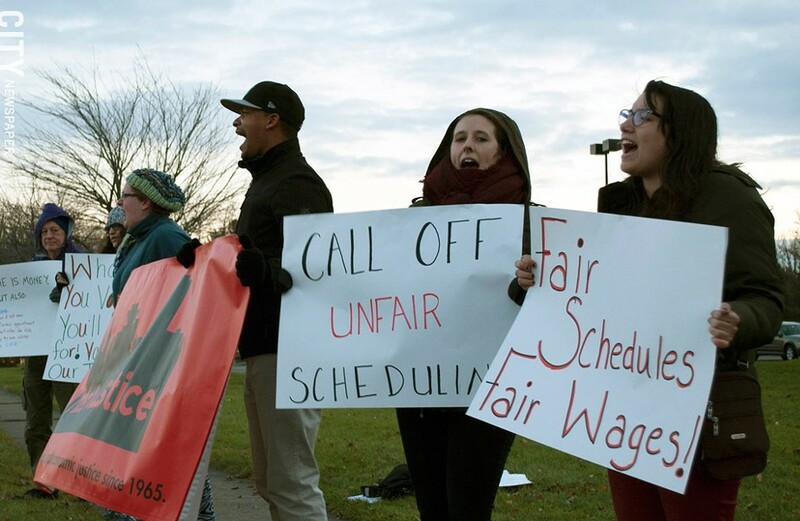 Activists and workers staged a rally near the Cheesecake Factory in Pittsford Plaza yesterday, coordinated by Metro Justice, to call attention to "fair scheduling" regulations being considered in Albany. The regulations, which have been proposed by the State Labor Department, would provide important benefits to hourly workers, particularly those in fields such as restaurants, retail, and child care. If approved, the rules will require employers to give workers at least 14 days' notice of their work schedule, and the workers would receive extra pay for last-minute changes in their schedule. 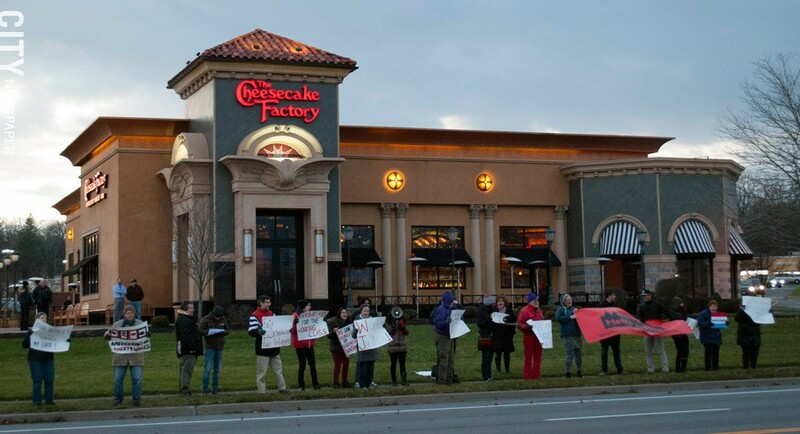 Activists and workers staged a rally near the Cheesecake Factory in Pittsford Plaza yesterday to call attention to worker scheduling regulations under consideration by the New York State Department of Labor. The new regulations "will have a significant impact on low-wage workers," says Mohini Sharma, an organizer with Metro Justice. Currently, those workers not only lose pay when schedules are changed without advance notice, but the unpredictability also makes it hard for them to find child care and keep personal appointments and commitments. Before drafting the new rules, the State Labor Department held public hearings and took testimony from workers and business representatives. The regulations are posted on the State Labor Department's website, labor.ny.gov/schedulingregs, and a 45-day comment period began in November. Online comments about the Labor Department's proposed regulations can be sent to hearing@labor.ny.gov.